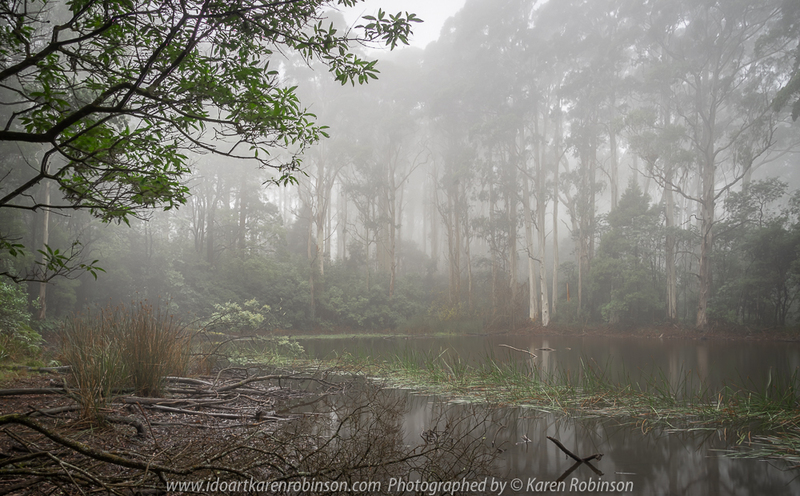 Published May 24, 2018 at 1000 × 620 in Hesket, Victoria – Australia ‘Sanatorium Lake’ Photographed by Karen Robinson May 2018 NB. All images are protected by copyright laws. Comments: An afternoon drive to see this man-made lake, famous for its intense reflections and during the 19th century, the cool climate of the Macedon region was thought to provided a perfect environment for patients suffering tuberculosis. A very cool afternoon, where fine mist filtered through the lush green vegetation creating a mystical atmosphere.